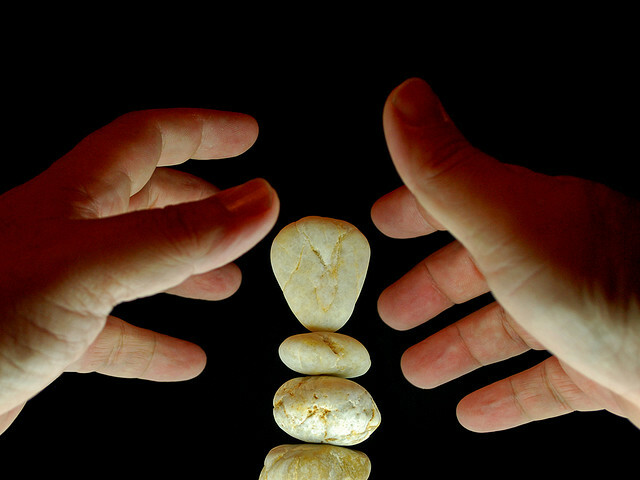 Finding balance in our lives…what does that mean? That is a different process for every individual – but it is even more of a challenge when that individual must also live with a chronic illness. Many of us with chronic illness such as MS or seizure disorders struggle with the ongoing tasks of balancing our lives with the increasing demands and intrusion of the chronic illness. Sometimes, attempts to find a stable a balance are seriously hampered or even completely derailed by illness symptoms, flare-ups, repercussions…not only physically but socially as well. So – can one find any kind of life balance when living with chronic illness? Basically – chronic illness means constant change – and it can be difficult to find personal stability when one is dealing with change. Achieving life balance when dealing with a chronic illness means learning to be resilient and adapt to change. And that can be easier said than done. Some of us see change as an opportunity. Some of us fear change. How we cope with change, and the personal transition that comes with any change, is very individual – which makes dealing with a chronic illness and its associated changes even more complex and even chaotic at times. Living with a chronic illness like MS, and especially dealing with seizures, forces me to seek balance in all areas of my life, always. Frankly – in some ways it has allowed me to transition into a better person – to kick start a journey of personal life balance, self-awareness, and self-compassion. Chronic illness as a catalyst for life balance? Seriously? Yes. The diagnosis of a chronic illness can be an opportunity (albeit a disguised one) to restore balance in one’s life, no matter what it is. It’s an opportunity to connect with oneself; to cultivate self-awareness and self-compassion through practices such as yoga. It’s an opportunity to challenge oneself and enhance one’s lifestyle to include a healthy relationship with the mind, body and spirit. It’s an opportunity to develop and seek out healing relationships and support systems with family, partners and the community. Finding one’s balance is so individual – there is no “one-size-fits-all” solution. And that balance is very delicate and can be blown away by the winds of change. Only YOU know YOU best – so look for the opportunities to find your life balance in the best way that suits you. It may take some time and some concerted effort – and you may have setbacks and have to start all over again after being “knocked off the saddle”, more than once. But I can say with certainty that the effort to keep getting “back in the saddle” and finding that balance is worth it. The Funny Side of Real Life – Catastrophic Comb-overs and more! Giving of yourself – The Best Medicine for what ails you! Balance in all Things – even your Passions!